Dr. McDonnell is Director of the Australian Research Centre for Urban Ecology, a Division of the Royal Botanic Gardens Melbourne. 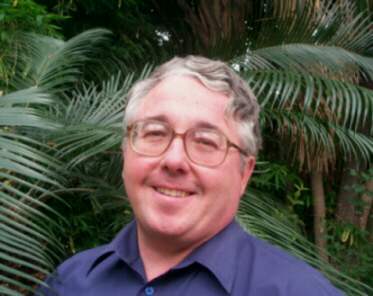 In addition, he is an Associate Professor in the School of Botany, University of Melbourne. His interests range widely, and include the processes driving vegetation change, invasion of non-indigenous plants, landscape ecology, the structure and function of ecological systems in urban and suburban environments, and the conservation and restoration of urban and suburban natural areas. He has conducted pioneering research on the ecology of urban and suburban environments. In all these areas, he is concerned about bringing high-quality ecological data and the understanding of basic ecological processes to bear on problems of conservation and management. Mark currently serves on the editorial advisory board for Landscape and Urban Planning and is on the Editorial Board of Ecological Management and Restoration. He has published over 80 scientific papers, reviews, reports and articles and has presented over 100 scientific papers in the United States and around the world. McDonnell, M. J., S.T.A. Pickett, R. V. Pouyat, R. W. Parmelee, M. M. Carreiro, P. M. Groffman, P. Bohlen, W. C. Zipperer, and K. Medley. 1997. Ecology of an urban-to-rural gradient. Urban Ecosystems 1: 21-36. McDonnell, M. J. and S. T. A. Pickett. 1993. Editors. Humans as Components of Ecosystems: Subtle Human Effects and the Ecology of Populated Areas. Springer-Verlag. New York. 363 pp. McDonnell, M. J. and S. T. A. Pickett 1990. Ecosystem structure and function along gradients of urbanization: An unexploited opportunity for ecology. Ecology 71:1231-1237.